We accept submissions via email only at submissions@rollickmag.com. We do not accept postal submissions. Additionally, please refrain from sending submissions via our contact form. All works submitted to us must fit into a main and sub-category. Please identify which category your work belongs to from the list below. Visual art, illustration, photography, film, animation. Critical theory, essay, memoir, confessional, review. Writing about film, television, music, games, theatre, fashion. Publishable Quality – Rollick Magazine is passionate about writing and the arts. We seek to publish the best talent, promote great dialogue, and inspire real engagement. We aim for quality over quantity, and ask that you submit work that is of publishable quality. This means that work should contain correct spelling, grammar, and punctuation. Not only does this make a great impression on our selection panel, it also means its easier to tell when you are being experimental or taking risks in your work. Author Details – Please ensure you include the following details when submitting work to us: Contributor’s name, address, telephone number, and email address typed at the top of the first page. In the case of visual art submissions, these details should be included in the body of the email. Correct Format/Presentation – Text submissions should be presented in 12-point type, with at least one-inch margins, and sequentially numbered pages. It is also helpful to place the title of the piece, and the author’s name into the header of your document so that our panel can keep track of work that is being considered. Please do not send written submissions as email text instead of as an attached document. Such submissions are not deemed to be of publishable quality, and cannot be properly considered. Identify Your Category – Don’t forget to state the category and sub-category, as outlined above. A writer/artist’s statement explaining your work and its relevance to the Rollick theme can also assist you during the section process, particularly where your practice employs a novel or experimental approach. Biographical Information – Please include a brief biographical note about yourself of no more than 50 words. Not only is it helpful to have this information ready should your submission be successful, it also means that we don’t have to spend time chasing down these details later. The brief biography will accompany any work that is published by Rollick Magazine. Please advise us if you intend to publish your work under a pseudonym. Photo/Avatar – You guys, we have given this particular topic its own prime spot on the check list because we often get awesome submissions that we desperately want to publish, but they don’t come with photos/avatars. This makes baby seals everywhere cry. That’s right, the crying is done by us. When it comes down to it, our day-to-day operations on this magazine are all about timing and logistics. Not having a photo can cause delays, but more than that, we don’t want to miss out on publishing brilliant work. So, please remember our golden rule: Submission + bio + photo/avatar. Also, we know love seeing your gorgeous faces, but our systems can’t handle glamour over 300 x 300 px, so try to send images to this specification if possible. We want content creators to see Rollick as a valuable destination for unique and challenging material. As a result, we are happy to accept multiple submissions, as long as they don’t exceed our quotas. You can submit up to three short stories or essays (of up to five thousand words), and up to six poems at a time. Visual artists, illustrators, or new media creators can submit up to six works. Where multiple works of poetry are being submitted, these should be combined into a single document and sent as an attachment to a single email. If you have not received a response from us within 45 days, we will be happy to respond to your e-mail inquiries. Please note that Rollick Magazine has very strict guidelines about simultaneous publications (although simultaneous submissions are a-ok!). The distinction between these two terms are explained below. Simultaneous Submissions – Rollick Magazine is happy to accept simultaneous submissions. This means if you have work(s) that you would like to see published, we don’t mind if you send it to us, as well as a few other publishers, too. This is a great way to circulate your work and gauge the interest it generates. Simultaneous Publications – While Rollick Magazine is happy to accommodate simultaneous submissions, we do not accommodate simultaneous publications. Accordingly, if your work is accepted by another publication, and you wish to go ahead with that publication, please do let us know, so we can pull your work from consideration in Rollick Magazine. Please observe the following guidelines when determining the suitability of work(s) on the question of simultaneous publication. We will have to pull from publication any work that is found to be published by other publications. Part of the Rollick Magazine mandate is to publish unique and engaging content. In order to do this, we need to ensure that the works we publish are distinctive to our publication so that Rollick Magazine can truly be a destination for rare and distinctive content. What is Your Response Time Like? Our response time varies from two to eight weeks. Because we are an online magazine with rolling submissions and a time-sensitive award, we will do our best to get through submissions as quickly as possible and let you know how your content has been received. Submissions may be sent to us at any time, year-round. Just take a look at our theme, and send us your work. Rollick Magazine publishes six issues a year. Each issue runs on a two month cycle, and is directed by a theme. Submissions remain open for the run of the issue. Do You Charge Submission Fees? Rollick Magazine does not charge submission fees when offering contributors the opportunity to publish with us. By removing this barrier to entry, we hope to give aspiring, emerging and established writers and artists the chance to connect with our brilliant content and audience. What is the Most Popular Post Award? Rollick awards a monetary prize of $250 USD to the most popular post of each issue. The selection process is transparent, with the award going to the post that attracts the most comments, likes, and interaction from Rollick readers. We hope to increase this award as Rollick gains traction. Since Rollick uses a rolling submission process, submissions will be posted throughout the entire run of each issue. Voting will remain open for two weeks after the issue closes, so that all posts will have an equal opportunity to vie for the award. Submissions are read by a panel of editors who facilitate Rollick’s selection process. These editors are highly qualified professionals, with extensive experience and expertise in the literary and visual arts. Many have advanced degrees in writing, publishing and arts management. All editors who hold positions on Rollick’s selection panel have been meticulously vetted, and are dedicated to the pursuit of publishing meaningful and quality content in Rollick. How are works selected for publication in the magazine? Works are selected for publication in Rollick through a democratic process facilitated by the editorial panel. All submissions are read or viewed by the editorial panel. The editors will discuss the works, and a vote is undertaken to determine whether works will be run, held, or passed on. Where works hold potential, but need a little work, we will grant subscribers provisional offers to publish. In other instances, works may be held for publication upcoming issues. Rollick permits it users to post comments on works and other content published on the Site. These comments are hosted on the Site and may be shared. Your display name will be seen by fellow Rollick users when you comment on posts. It will also be the name you use to log in to the site. Your safety matters, so please note that no last names, addresses, or other personally identifiable information are allowed as part of your display name, or in the body of your comment. Don’t be mean. 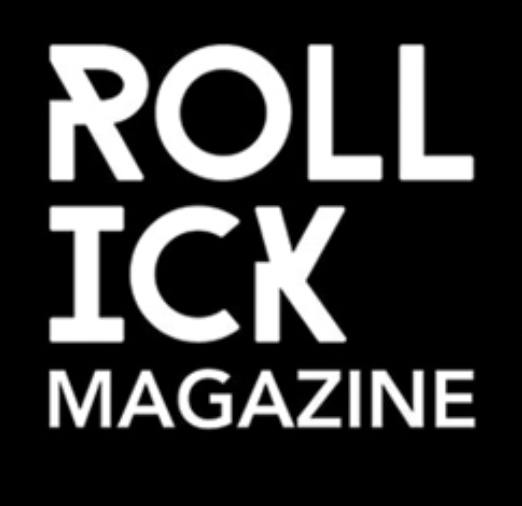 Rollick Magazine seeks to inspire real engagement in the content we publish. Don’t make engaging with awesome material unpleasant for anyone. All comments on Rollick are moderated. This means that sometimes delays may happen, but please be patient with us, we will move as fast as we can! We are hypervigilant about spam. As we are a publication dedicated to real engagement, we will not publish comments that contain irrelevant or unsolicited content for the purposes of advertising or phishing. In addition to this, we will not publish repetitive and indiscriminate messages that originate from the same source repeatedly or that are submitted from disposable email addresses using various aliases. These kinds of interactions undermine our pursuit of real engagement. Further to this, such comments would create an unfair disadvantage toward certain works and would undermine the legitimacy of our Most Popular Post Award. Accordingly, we use software to detect inauthentic interactions with our site, and have also trained our moderators to spot fraudulent comments. We take our mission to foster real engagement very seriously, so please be advised that spam of any kind (whether originating from spam bots or humans) will not be supported on this site. We reserve the right not to publish your comments. That’s okay. If you have any additional questions, please feel free to contact Rollick Mag’s Editor-in-Chief Mel Vanroyen at vanroyen@rollickmag.com. We will get back to you as soon as possible and hopefully resolve your query!